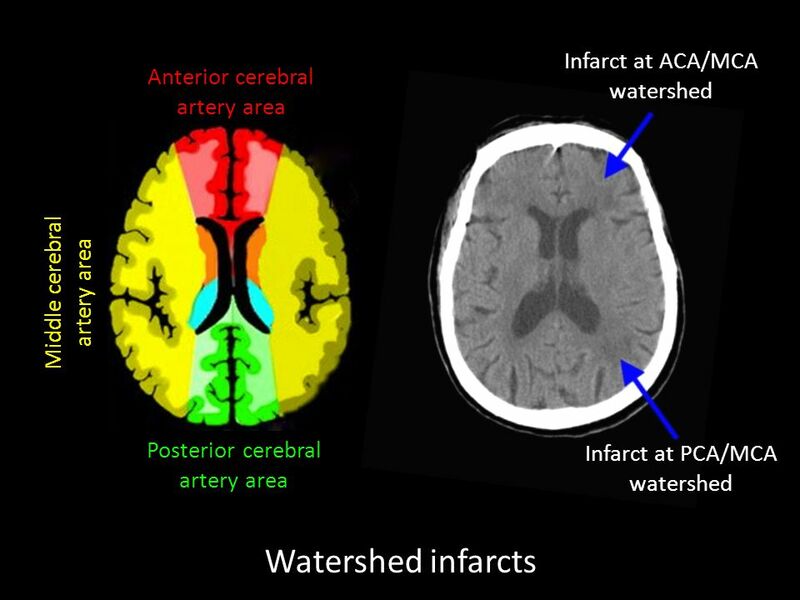 A watershed infarct is a stroke caused by a drop in circulating pressure and or volume that results in critical ischaemia or infarction between territories. Classically between MCA and ACA or MCA and PCA. The actual blood stream blockage/restriction site can be located far away from the infarct. How to explain. If you and friends go out for dinner to a restaurant at a table for 20 people and the waiter places 3 bottles of wine at each end then as everyone pours a glass and passes it on everyone should get a drink. If however on another night you can only afford 1 bottle at each end of the table then those in the centre will find that the bottle is empty by the time it gets there. 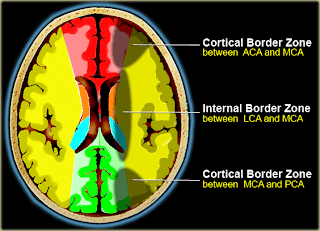 This is the watershed area and can in the brain be a line of infarction. 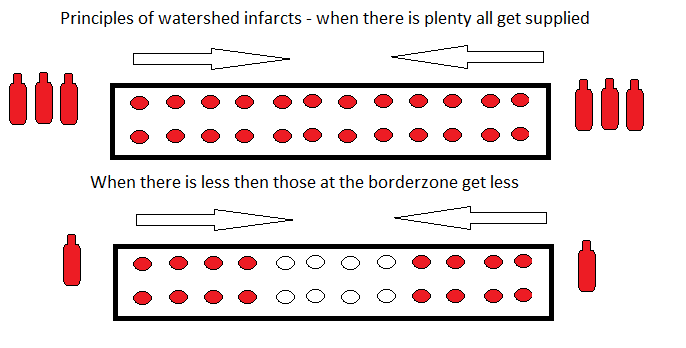 It only happens when there is a generalised reduction in blood flow and the areas at the edges of any territory will get the least. One cause may be global drop in BP during sepsis or other causes of shock or during surgery or an occluded or critically stenotic ICA which supplies ACA and MCA and so this is where infarction is worst. The important issue is that the cause may be significantly proximal to the infarct such as a severely stenotic carotid or systemic hypotension. 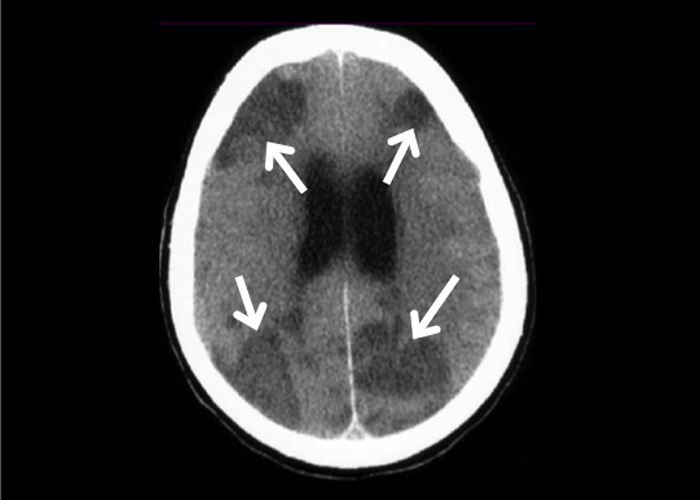 Misery perfusion represents a chronic failure of cerebral autoregulation associated with decreased cerebral perfusion pressures in the presence of extracranial and intracranial atheromatous disease. 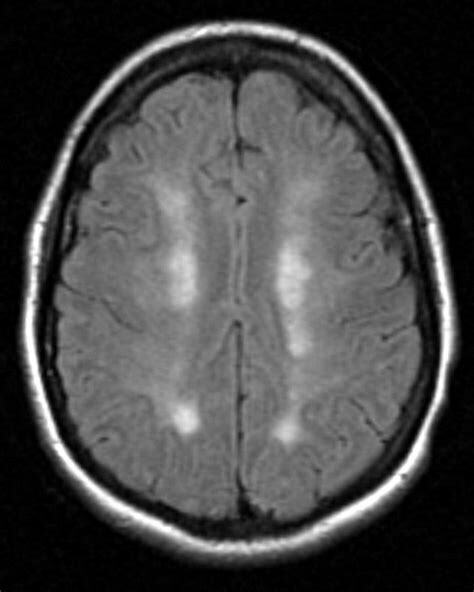 CT/MRI can define infarct and one may even see the classical rosary-like pattern in the centrum semiovale on MRI.